La Sagrada Familia led me to Barcelona. As I would later learn, there is a whole world out there to discover. 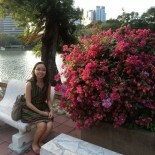 Its a comparatively small city, but is full of culture and character. I got there at the break of spring and La Sagrada Familia is the first structure I went to discover. The short walk from my hostel to La Sagrada Familia charged me with enough visual excitement, I didn’t stop walking until late at night for dinner with friends. As I said before, I feel like I have a million travel stories. Since it was Antonio Gaudi’s birthday a couple of days ago, I unearthed this photograph among the thousands that I took in Europe. I learned about La Sagrada Familia in my art history class and if I remember correctly, it was cited as an example of Gothic architecture. This is the time I learn that art history is indeed relative. Gaudi’s architecture may be known as Gothic architecture for most art history books, but in Catalunya, it is known more as Catalan modern architecture. That is indeed something. The use of organic form in architecture was unique for Gaudi in his time and indeed, there is nothing like the feel and vibe of his architecture anywhere else in the world. Getting to Barcelona, I learned a little bit more about their history and culture. Barcelona is in Catalunya, and Catalunya is a place of its own. It has its own language and a unique culture, different from the rest of Spain. Even ordering coffee–like the café au lait vís-a-vís café con leche, depending on who you’re talking to. I know café au lait is French, but there seems to be a relationship between the Catalan language and French, though of course, they are actually near France. I’ve also seen the Catalunya flag outside many houses and buildings, a friend told me that the history is complicated, but some still believe that Catalunya should be its own country. Not very different from the story of my country I guess. La Sagrada Familia, up to now, is still unfinished. It would be a decade or more before we truly see the completeness of Gaudi’s vision. Too bad he is no longer around to see it. But I think it would make him happy to see how much his works are beloved and are still part of everyday life. As I said, La Sagrada Familia led me to Barcelona, one of my favorite cities so far, and I am grateful. Hopefully, I can return someday. Oh, and thanks again to Google Doodle, that’s how I found out about Antonio Gaudi’s birthday in the first place. I hope I’d be able to write more of my stories soon. The mind and our memory can be so fickle, and I would hate to forget. 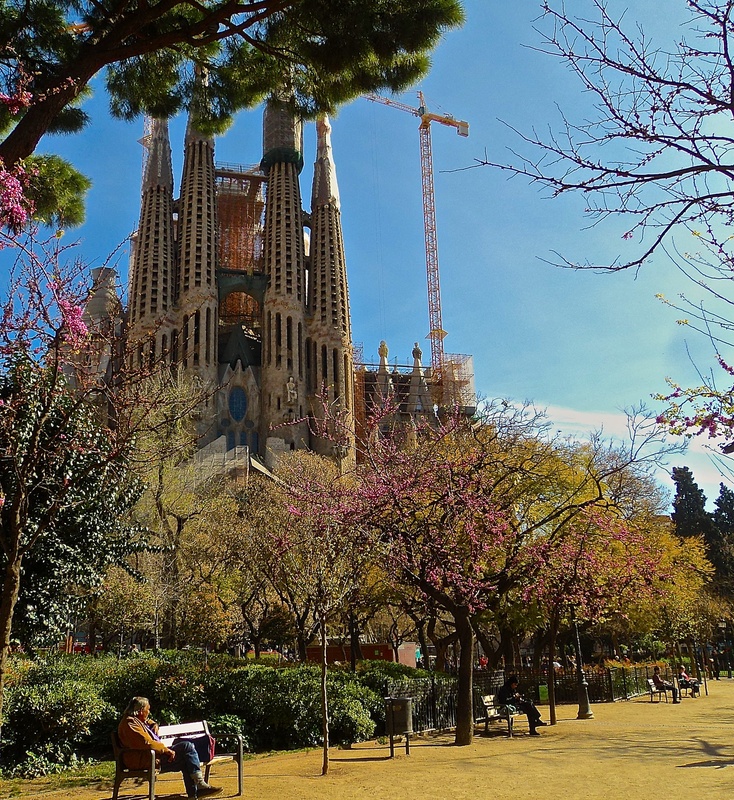 This entry was posted on June 27, 2013 by Portia Placino in Diary of a Grad student, Travel Writing and tagged Antoni Gaudí, architecture, art, Barcelona, Catalonia, Sagrada Família, Spain, Travel.